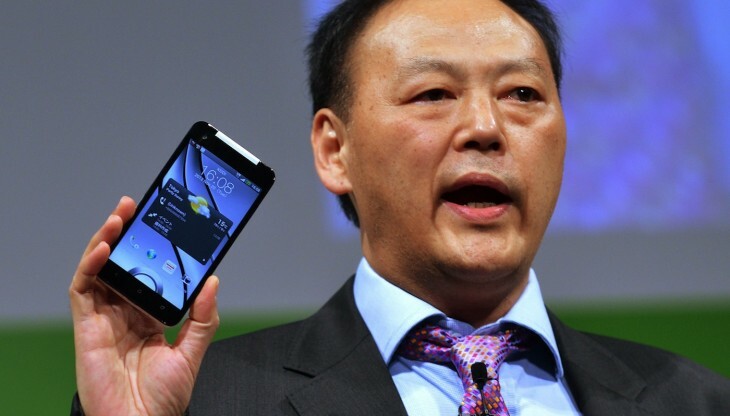 HTC CEO Peter Chou has candidly admitted in an interview with The Wall Street Journal that the company failed in its marketing efforts last year and its competitors proved “too strong”. Profits at the Taiwanese company dried up in 2012, plummeting 79 percent year-over-year in the third quarter alone. However, Chou believes the worst is over. “2013 will not be too bad,” he told the Journal. Coming from a CEO at the beginning of the year, those aren’t very inspiring words. After all, he’s basically conceding that 2013 will still be a bad year for the company. “Our competitors were too strong and very resourceful, pouring in lots of money into marketing. We haven’t done enough on the marketing front,” he said. HTC recently shuffled its management team with a renewed focus on marketing. In November, it hired Benjamin Ho as its new Chief Marketing Officer. Ho, who formerly worked as Motorola’s CMO, is set to bring the company into its “next phase of brand marketing and awareness”, known internally as Marketing 2.0. Still, Chou’s words are worrying. When an executive chalks up struggles simply to a marketing miss, it doesn’t reflect awareness of a need for a change in strategy or product development. Research In Motion’s former co-CEOs repeatedly claimed that sinking BlackBerry sales were a marketing issue before they were eventually ousted. Few would doubt that Samsung and Apple have high-performing marketing teams, but those teams are supporting products that have been carefully designed to stoke consumer demand. To his credit, Chou did say, “The most important thing is to have unique products that appeal to consumers,” while noting that HTC doesn’t have the kind of money to counter its bigger opponents. The executive added that he learned to “act fast and be responsive to market changes” over the past year. He says the company is more flexible now, an important trait given the current pace of the smartphone market. Less than three years ago, HTC was the top Android maker in the US. Recent figures from comScore suggest it has fallen to fifth place among smartphone vendors with just 5.9 percent market share. HTC’s 5-inch J Butterfly/Droid DNA handset could give the company some forward momentum. Sales rankings in Japan in December placed the device ahead of Apple’s own iPhone 5. The news gave the company’s stock a temporary lift, though those gains have trailed off some over the past few days. We’ll find out soon enough just how bad the rest of 2012 was when the company reports its preliminary earnings results next week. Hopefully Chou is right that HTC’s worst days are behind it.